The Swiss Academies of Arts and Sciences are an umbrella organisation, associating the Swiss Academy of Sciences, the Swiss Academy of Humanities and Social Sciences, the Swiss Academy of Medical Sciences and the Swiss Academy of Engineering Sciences as well as the Centre for Technology Assessment and Science et Cité. 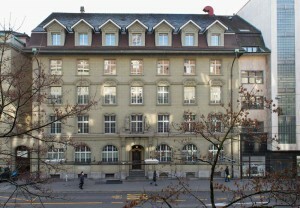 As institutions for the promotion of research, the Swiss Academies are publicly funded under the terms of the Swiss Federal Law on Research. The four academies stand in the tradition of learned societies, with the aim of contributing scientific knowledge to help resolve societal challenges and to contribute to human and environmental well-being. They do so by accessing the scientific expertise available to them, namely their members who are individual scholars or scholars belonging to scientific unions in the different disciplines. This core business of the four academies is complemented by activities of the two centres of competence: the Centre for Technology Assessment provides assessment studies to assist political decision-making on new technologies, and Science et Cité is involved in projects to foster the dialogue between science and society.